Thank you for praying for us and this work! Knowing that others are supporting us through prayer is a great encouragement to us. 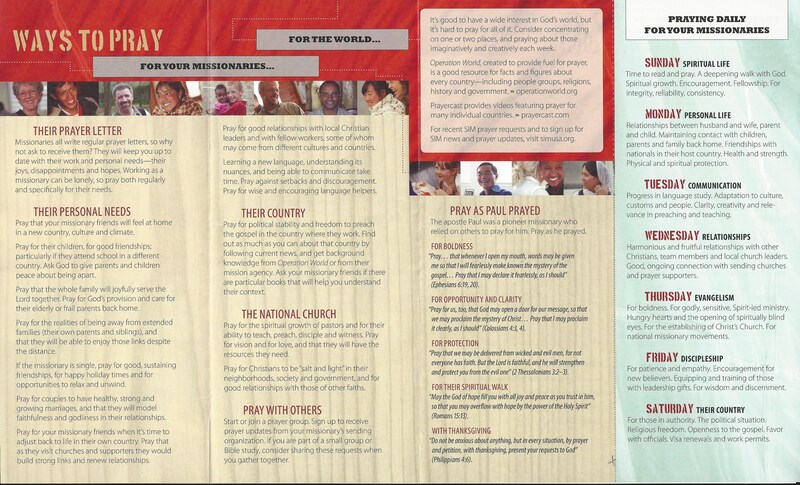 Below are some specific ways you can join us in prayer. Please let us know how we can pray for you, too.